Great Controller Chip. I just finished a clock using NL-841 tubes, it turned out great. If you want a great clock with direct drive tubes, this kit is a good choice. I have put together kits from other people, but building a clock based on this controller was very satisfying. I plan on building more. The clock has very useful sleep settings, a good slot machine effect, and great dimming options. Other then a GPS option on other clocks, I think this could be the most accurate clock you can build. If your willing to put in the effort, this kit allows you to build a clock without worrying about programming a pic chip yourself. Nixie clocks, while expensive, are a fun and useful. If you think you are up to the task, I would recommend building one, and this Chip is a good. 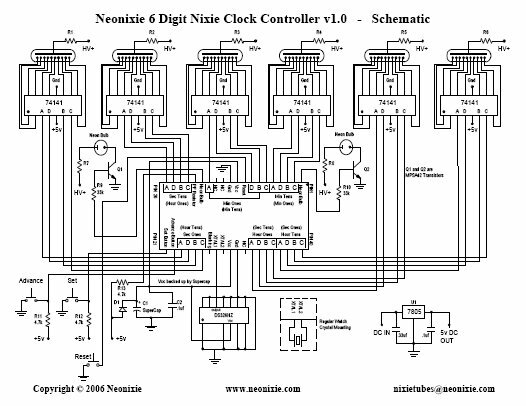 Using this chip I build a very compact nixie clock, with IN- ..